We probably won't see the Samsung Galaxy S II 'til May, after all. 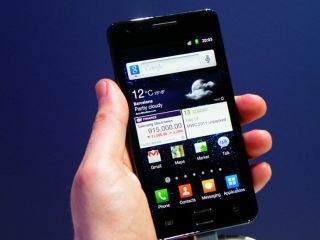 A number of online retailers have pushed the Samsung Galaxy S II UK release date back from March to May. Last month, we brought you the news that online retailer Clove claimed it would start selling the Samsung Galaxy S II in March. Expansys and Play.com also published similar release dates and we were all jolly excited about the imminent prospect of all that Android Gingerbread, Super AMOLED-screened action. But now all three retailers list the Samsung Galaxy S II UK release date as some time in May. The actual dates vary; Play.com reckons the release will come on 6 May, Expansys says 9 May and Clove is non-committal, simply saying that it expects the first stock in May. When it comes to price, though, Clove is offering the best SIM-free deal on the Samsung Galaxy S II 16GB model, selling the handset unlocked for £528.00.